Protect and restore coastal beach habitat for migratory Piping Plovers, migratory shorebirds, and resident beach-nesting birds. The 700 islands of the Bahamas archipelago provide a wintering area for about a quarter of the known wintering population of Piping Plovers. These coastal habitats are also important for other wintering waterbirds and high numbers of resident breeding birds including Roseate Tern, Wilson's Plover, American Oystercatcher, Least Tern, and Bridled Tern. Key threats to Piping Plovers and other beach-using birds are from habitat destroying Australian pine (Casuarina equisetifolia), which is invading beach areas right down to the water, and from human disturbance (boaters, beach-goers, pets, ATVs). Since 2016, Conservian has partnered with the Bahamas National Trust and Birds Caribbean to launch its site-by-site approach to restore and protect key shorebird sites in the Bahamas. This project is building local capacity for coastal stewardship with hands-on conservation actions. ICFC has supported these efforts annually and plans to continue until both human disturbance and the invasive Australian pine are under control at all key areas of shoreline in the Bahamas. Australian pine is being eradicated though girdling and herbicide injection, with related training of Bahamian parks staff for a multi-year eradication program. Biologists and volunteer crew travel to key sites aboard a 75-ft research schooner and work with the Bahamas National Trust, BirdsCaribbean, local partners, and volunteers. Targeted sites include national parks and Important Bird Areas of the Bahamas. 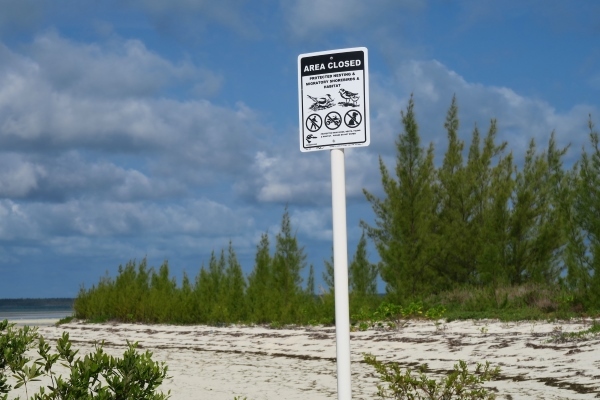 Signage is erected to designate restricted shorebird areas and address site-specific issues such as pets, vehicles, boat landings, prohibited mechanical beach-raking and cleaning practices, and limits on the use of beach furniture. Data is collected on beach-nesting bird abundance, distribution, habitat use, and human-caused disturbance. All important sites within the entire 8,573 km2 Bahamas. We gratefully acknowledge support for this project in 2016 from the Nature Conservancy of Canada, which protects piping plovers at various sites across Canada. Our partner Conservian Coastal Bird Conservation with project leader Margo Zdravkovic. 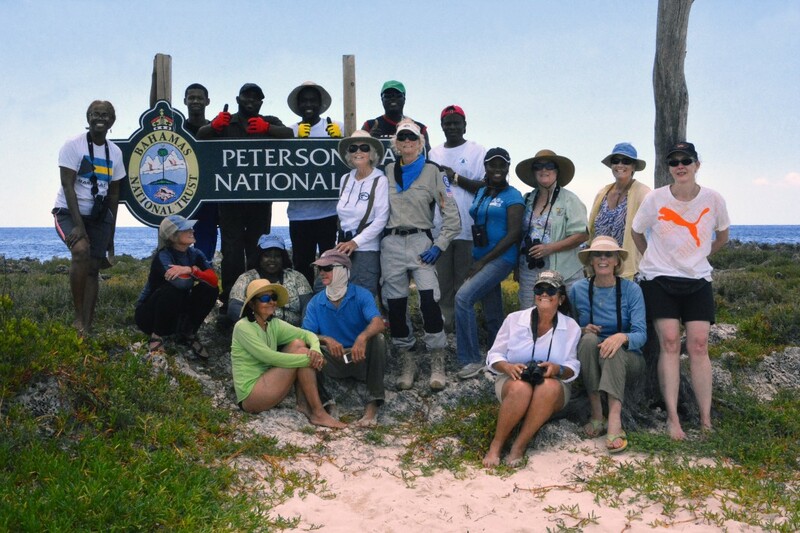 For this project, Conservian is working with volunteers, the Bahamas National Trust, and BirdsCaribbean. Most of the Bahamas shorebird habitat remains unmonitored and unprotected from human-caused disturbance due to lack of resources and funding. There is an urgent need to begin monitoring, protection and restorative actions for shorebirds as these imperiled species are enduring ever-increasing, human-caused disturbance and habitat loss. Invasive Australian pine is of particular concern in the Bahamas and is present on the majority of the islands. The pine destabilizes coastlines and is highly destructive to native beach habitat and beach-dependent species. In 2015, ICFC's field partner, Conservian, conducted aerial surveys to identify priority sites as a basis for beginning a multi-year conservation effort. Work will continue in 2018.